On June seventeenth, two-thousand sixteen, Drawn and Quartered unleashed the Proliferation of Disease demo on cassette showcasing ten brand new offerings of their elite satanic art. The ten tracks were captured live in their rehearsal compound over the course of several months. 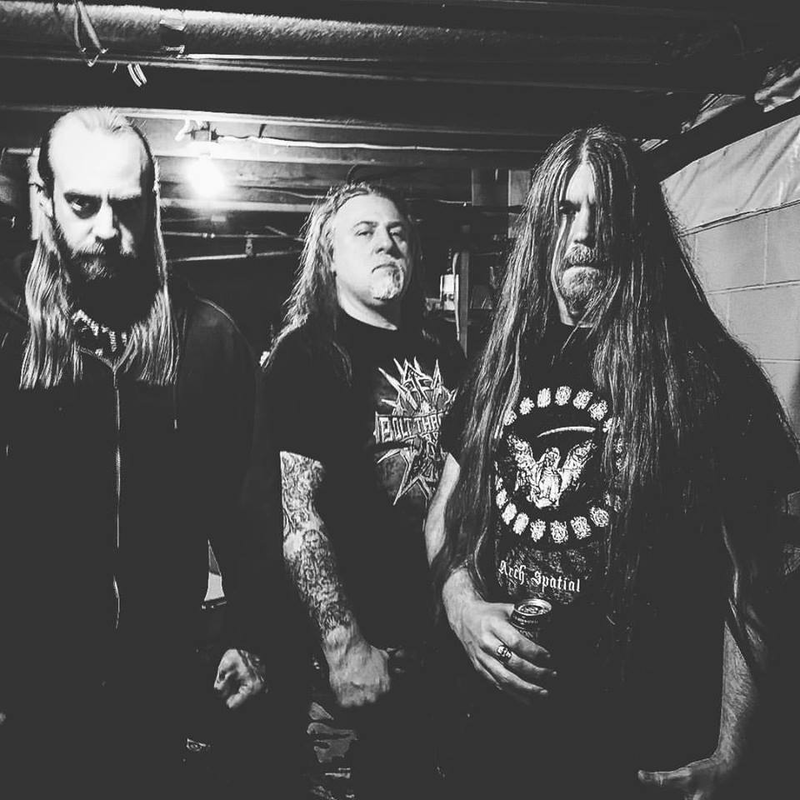 Few bands have been as consistent with their musical direction and purpose as death metal veterans Drawn and Quartered. 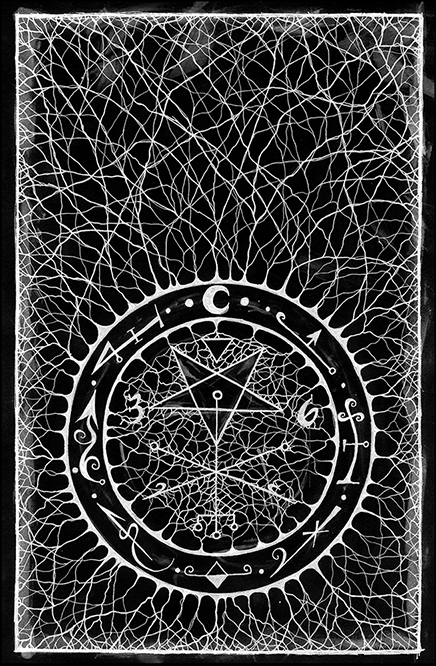 The demo was unearthed from the swamp it was birthed within by Vault of Dried Bones this winter and delivered to Damian Herring at Subterranean Watchtower Studios where he worked his madness and brought new growth to the disease. Now, Vault of Dried Bones presents the ugly Proliferation of Disease demo on compact disc format in all it’s filthy, murky, unholy glory. The release of this demo is the bridge between Drawn and Quartered’s upcoming full length studio release on Vault of Dried Bones in two-thousand seventeen. Heed Drawn and Quartered’s proclamations of satanism and total violence. First 50 orders receive exclusive 4″ woven Drawn and Quartered logo patch. 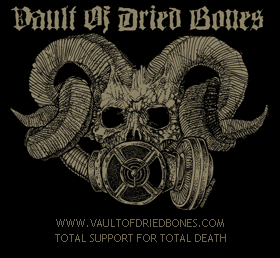 Both albums now available on Vault Of Dried Bones. Possessed and murderous black metal. Wlad Drakksteim of Vlad Tepes vomits forth all vocals throughout the entire album. Repellant and violent. RECLUSE are the true embodiment of EVIL. Vault of Dried Bones offers the ultimate edition of The Black Famine compilation. 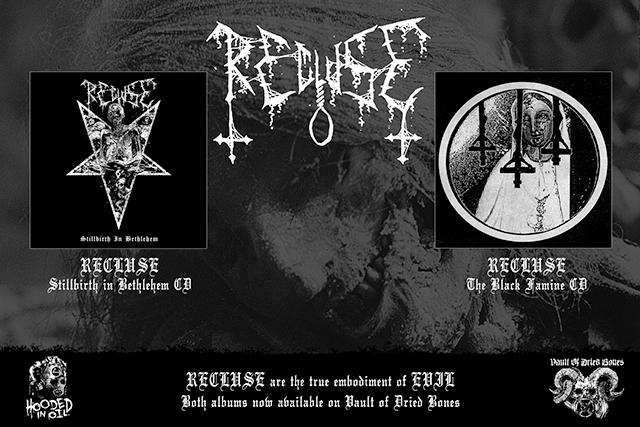 In addition to the Recluse demo, the Frozen Blood demo and the new track Ropes, this release now includes two unreleased tracks – an intro and a cover of Vlad Tepes ‘In Holocaust to the Natural Darkness’. Previously containing a folded insert, the CD is now presented with a twelve page booklet. The compilation features most of the artwork from the CDr version seen on the Hooded in Oil release as well as expanded artwork and lyrics. CANADIAN PREORDERS RECEIVE MAGGOTS INSIDE THEIR COPIES OF STILLBIRTH IN BETHLEHEM. VAULT OF DRIED BONES is proud to present EGGS OF GOMORRH’s debut album, Rot Prophet, on CD format. Although the band self-released a demo also titled Rot Prophet in 2011, only three songs from that have been carried over here: thus, with a completely different (and superior) recording, this CD version should be considered EGGS OF GOMORRH’s official debut. Granted, the Swiss quartet have been hiding in the shadows these past five years, but they’ve taken their atrocities to the stage quite often, and now with this newest Rot Prophet, the name EGGS OF GOMORRH shall soon be spoken widely across the black/death underground. Logo by Daniel Corcuera Urzua. Artwork supporting their 2016 demo Proliferation of Disease. 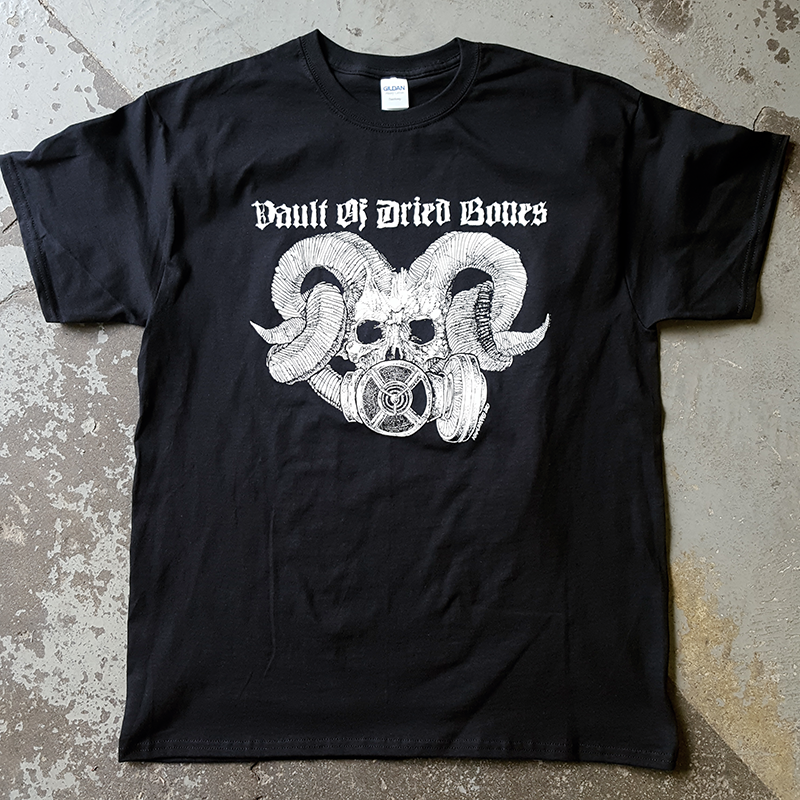 Only 30 copies of the t-shirt available from Vault Of Dried Bones. 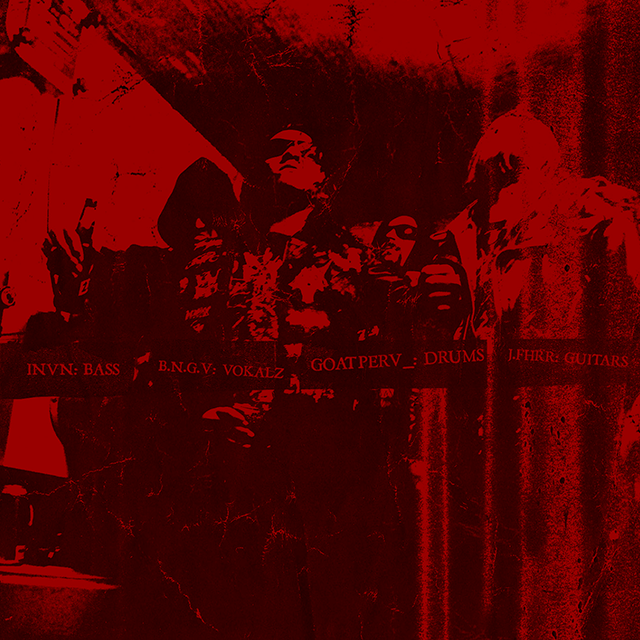 Artwork supporting their split release with countrymen Adversarial. To coincide with the ‘Initiated in Impiety as Mysteries’ cassette release on Serpents Head Reprisal and Bestial Obsession. Only 20 copies of the t-shirt available from Vault Of Dried Bones. Artwork supporting their split release with countrymen Antediluvian. To coincide with the ‘Initiated in Impiety as Mysteries’ cassette release on Serpents Head Reprisal and Bestial Obsession. Only 20 copies of the t-shirt available from Vault Of Dried Bones. Hail Death Militants. I am proud to reveal Vault’s next releases. The list is pure filth. I printed a new batch of the Death Emblem t-shirts today and I need your help to get these out to all true supporters of death metal filth. My goal is to sell 100 shirts this month to propel these titles into production. TOTAL SUPPORT FOR TOTAL DEATH. Artwork by Brianvdp. Logo by Alexander L. Brown. 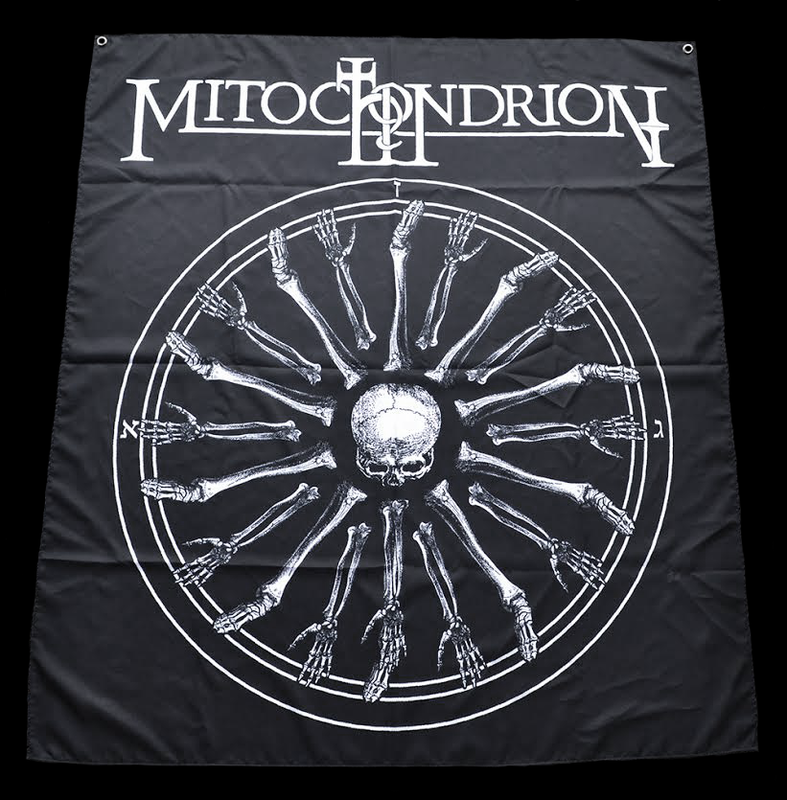 Flags measure approximately 50 inches wide x 56 inches tall.